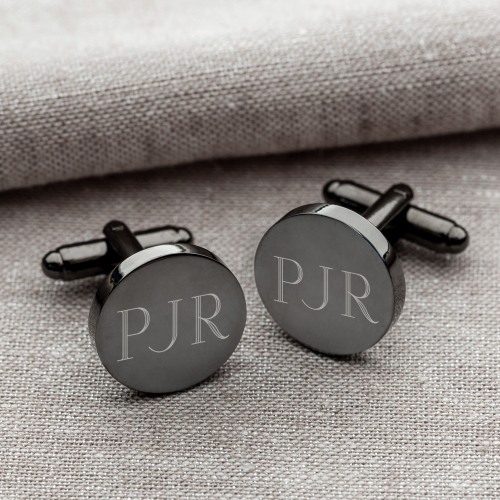 It's easy to make your wedding day attire all the more classy with these gunmetal round cufflinks. Perfect for the groom, groomsmen, or father-of-the-bride, each cufflink comes with his three initials engraved. Such a great practical and special gift.